The distinct upside to the overcrowding in the “atmospheric female-fronted indie-pop” sector of the music industry is the startling levels of instinct and focus that artists have to show to stand out. 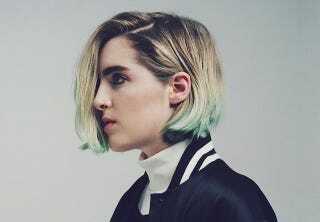 UK singer/songwriter/producer Shura is steadily coming for your attention: this latest track, “White Light,” is her best yet. It’s got all the Janet-inflected gorgeous translucence that marked her debut single “Touch” and her most recent single “2Shy,” mixed with the dead-on sense of mathematical build that showed up in her remix of Jessie Ware’s “Say You Love Me.” It heats up through seven minutes, steadily, like a satellite moving closer to a star—the groove in the funk beat is echoed by the great, HAIM-ish refrain that hits first at around 2:20 and then over and over near 4:26 (And I don’t mind/ if we never go/ Never go home), and everything coalesces into a solidified riff party at the six-minute mark.